India is an extremely diverse nation painted in more number of colors than you can even imagine. List of tourist places in India goes as long as it hosts so many beautiful places. The best way to get drenched in this color is to travel and explore every corner of the country. From historical monuments to sparkling beaches and from architectural wonders to natural splendors, there is a slew of famous places to visit in India, which will stir up your wanderlust for sure. So, don’t let your itchy feet ease off. Here, clap your eyes on the list of famous tourist places in India in 2019. Believe us, it never comes the perfect time. So, forget everything and just hit the trail right away. Literally, Delhi is a ‘mini India’. You can feel the vibrant diversity of India altogether in Delhi in every aspect. And it’s on the top of the list of India tourist places to visit. If you consider it just as the national capital, you’re doing injustice with unutterable splendor of Delhi. 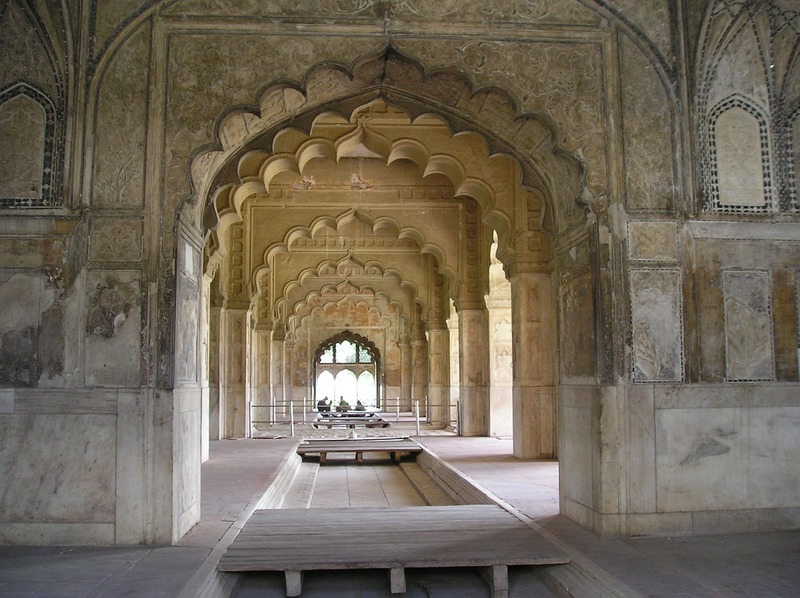 Be it the rich history or new-age vibrancy, Delhi is dotted with unnumbered of jewels. There are numerous beautiful tourist places to visit in Delhi for sight-seeing. The national capital is glorified with many historical monuments, which are the seal marks of its rich history. If you’re a history buff, you can’t find such a massive assortment of monuments anywhere else in India. But, if history is not your thing, Delhi has something else too to cater your taste. Leave the monuments aside and capture the magnetism of its alluring parks, gardens, and museums. Mumbai is veritably a city of different experiences. Isn’t it? Enfolded the vibrancy of India in its far-flung seashores, the ‘City of Dreams’ has literally a beating heart of its own. Whether you want to infuse yourself with spirituality or crave to experience the vivacity of India or just yearn for the stellar monuments, Mumbai has a lot tucked in for everyone. So, don’t hem and haw. 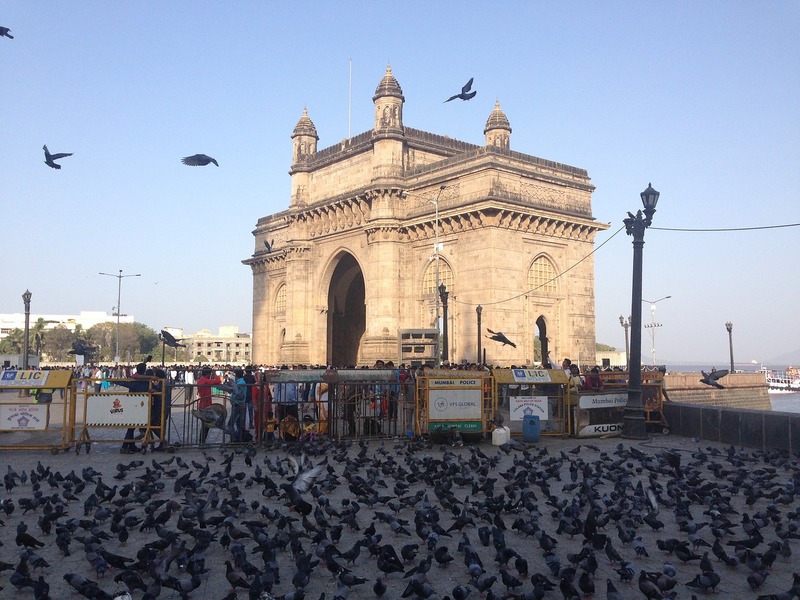 The list of top tourist places to visit in Mumbai never ends, just plan your trip. Given its pleasant weather during winters, Mumbai is one of the best places to visit in India in January without a doubt. The ‘Mayanagari’ of India would literally put you under the magic spell. The more crowded it is, the more it is brimming with amazement. In a real sense, Mumbai is not just a city, but a hub of every kind of tourism. In Mumbai, stroll in the stretching shores of Marine drive, gaze the splendor of ‘Gateway of India’, marvel at the engravings of Elephanta caves, feel the soothing aura in Siddhivinayak Temple, and eventually complete your day capturing the breathtaking view of the sunset in Juhu beach. What places you go and whatever things you do in Mumbai, make sure to grab every chance to treat yourself to the mouth-watering street foods. Not to mention, start your list with ‘Vada Pav’. When you have enough of Mumbai, wind your way all to the historically soaked routes of Aurangabad. The vivacity of Mumbai certainly outshines the glory of Aurangabad but it is a top historical place in India without any doubt. With its archaic monuments, Aurangabad will naturally drag you in narrow lanes of history and old-world charm. The marks of its rich heritage are still dispersed in the nook and corner of the city. 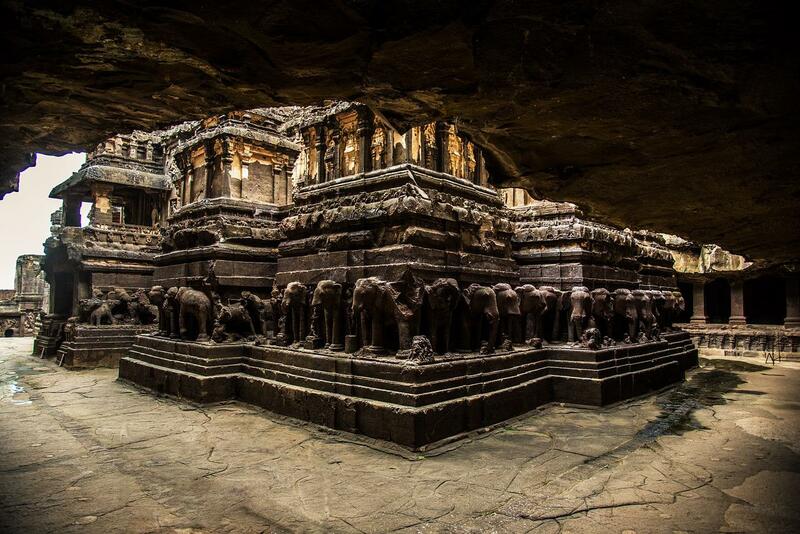 Being home to UNESCO World Heritage Site Ajanta Caves, Aurangabad manifests the architectural brilliance of yesteryears and top on the list of places to visit in Aurangabad. Before leaving Aurangabad, hit your way to Salim Ali Lake. It makes nature sparkle beautifully in the midst of rustic lure of history. Sneak a visit. You can thank us later. 11 Myths about India Debunked! Next, set your feet in a city that is ready to embrace you in its gleaming skyline, sparkling beaches, bustling markets, and vivacious nightlife. Goa is an exceptional place & one of the most beautiful places in India, where sheer vibrancy and utter calmness stand side by side. Whether you’re planning a family holiday, a romantic honeymoon, or a weekend getaway, Goa has something special for all tastes as there are lots of beautiful places to visit in Goa. Though it is an all-year-round holiday destinations in India, it comes at its all glory in winters. The happening events and pleasant weather make Goa one of the most popular places to visit in India in winter. Spending some serene moments while sitting on the sparkling coastline of a beach capturing the awe-inspiring view of the sunset is the best thing you can do to rejuvenate your soul in Goa. However, when you’re in Goa, don’t restrict yourself just to the inexhaustible shores of exotic beaches and never-stopping beats of swanky nightclubs. 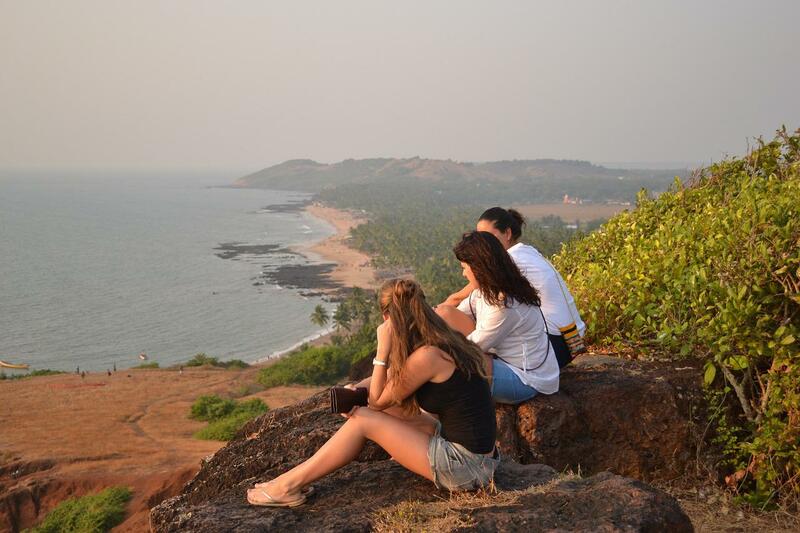 Go out and explore its other facet too, where Portuguese forts manifest superbly the untold saga of Goa. Further, touch the serenity of the city with a visit to the old-age churches. 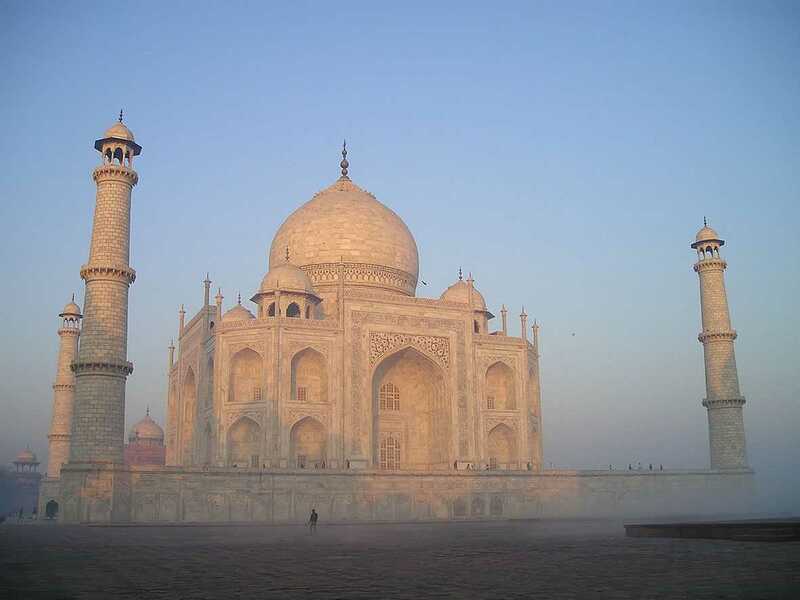 When it comes to top Indian tourist places, the list can never be completed without a mention of Agra. No? 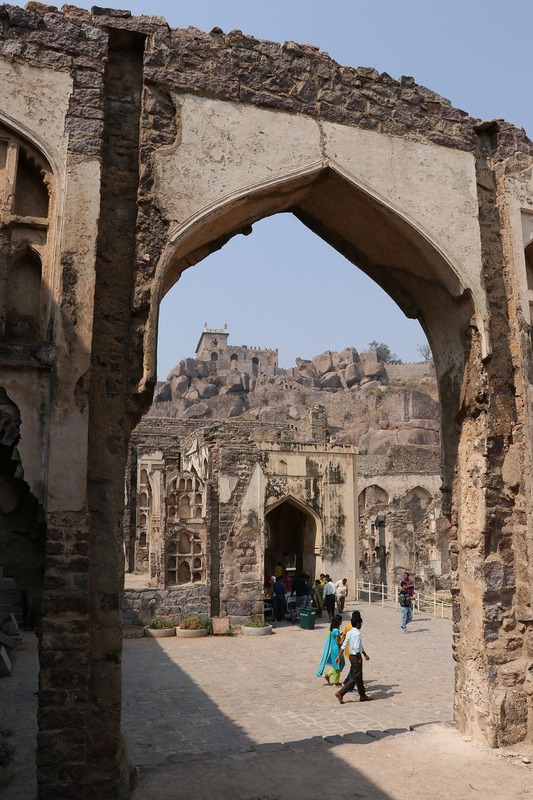 The grandiosity of Mughals is still scattered around the city. In fact, every single pebble of Agra evinces the heyday glory of Mughal emperors. Hemmed in by the majestic shores of River Yamuna, Agra is a city, which makes the world believe in true love. Yes, it does exist! Being home to Taj Mahal, Agra is undeniably a crowd puller. Besides Taj Mahal, marvel at countless other historical monuments of the city and admire the sheer brilliance of Mughal architecture. The list of places to visit in Agra never ends. Once you’re brimmed with wonder, spin your way to the colorful markets replete with Mughlai handicrafts, motifs, accessories, and jewelry. Here, practice your bargaining skills, and fill your shopping bags. Now, don’t tell us you don’t have time for shopping. The stately streets of Agra will not only leave you astonished but also greet you with an assortment of food items in every step. Make sure you reciprocate to their greets! ● Also, leather goods and Petha of Agra are very famous. After admiring the effulgence of Mughal architecture, land in the ‘City of Nawabs’, which is a stash of mingling cultures. From marvelous architecture to rich history, from absorbing literature to deep-seated culture, and from varied food cuisines to brimming bazaars, Lucknow has it all to leave you open-mouthed. 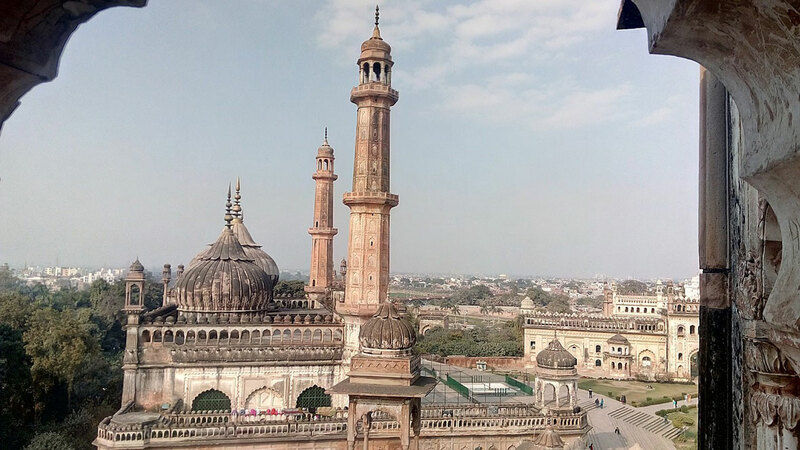 Today the state capital of Uttar Pradesh was once the reigning seat of Nawabi rulers. The city still bears those marks, and today portrays them as the glory of its past. As you’ll set your first feet in this sublimely magnificent city, its tagline ‘Muskuraiye, Kyunki Aap Lucknow me Hai’ will naturally make you smile broadly. In between exploring the nook and corner of Lucknow, gorge on the world-famous Lucknowi Kebab. It will literally leave you licking your fingers. If you’re still left with some energy in you, head to the colorful markets of Lucknow. They are hard to resist, anyway. There are lot’s of things to do in Lucknow, here are some prime ones. You just witnessed the one facet of Uttar Pradesh, which tirelessly spills the beans of rich history. Now turn your way all to Varanasi and behold the other facet of state thoroughly seeped in spirituality amid the mighty waves of River Ganga. One of the oldest cities in the world and one of the seventh holiest cities of India, Varanasi is utterly entwined with the spirituality, divinity, tranquility, and sanctity. There are also numerous things to do and places to visit in Varanasi to make your visit memorable. You can feel this motley fusion even in the soil of Varanasi. The stupendous Ganga Ghats and opulent temples, filled with reverberating echoes of Mantras, immerse a sense of divinity. Believe us, the abode of Lord Shiva is as intriguing as the Lord himself. Leave all the worries aside and breathe in the air of spirituality, bask in the glory of River Ganga, and delight in the magnetism of narrow streets of Varanasi. Before leaving the city, don’t forget to explore Sarnath, located abreast of Varanasi. 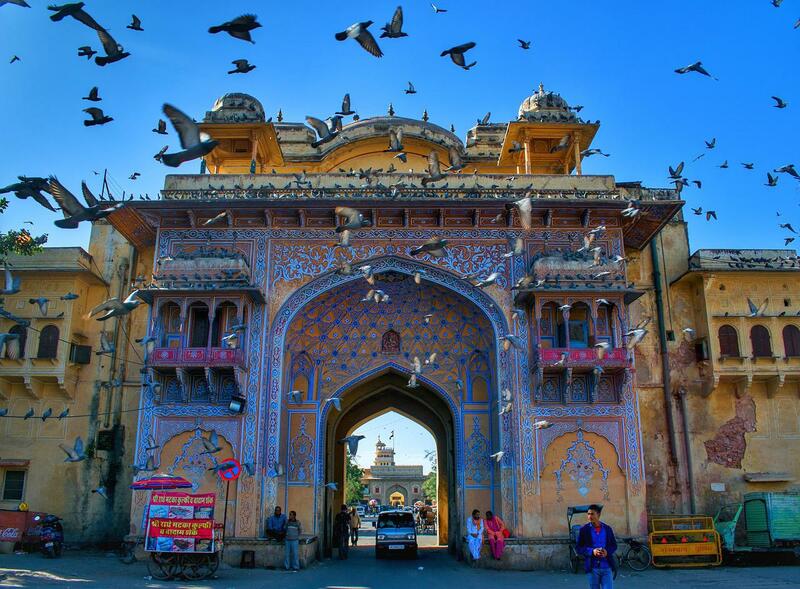 Jaipur makes its presence inevitably on the list of most beautiful places in India. In a nutshell, the glorious history, stately palaces, regal architecture, and opulent luxuriousness sum of the Jaipur tourism. To be more specific, Jaipur is a place, where royalty still rules modernity. The state capital of Rajasthan is home to myriads of affluent palaces, edifices, and forts. The color of the pebbles of its palaces might have faded off with the time, but the ‘Pink City’ still sparkles splendidly at its all glory. And there are countless places to visit in Jaipur. If you feel exhausted while exploring the beautiful city, turn your gaze to its vibrant markets. Jaipur is truly a paradise for foodies and shopaholics and houses various popular things to do activities. So, unleash yourself in those colorful markets to find the refreshing energy. If the sumptuousness of Jaipur could not entirely quench your thirst for stateliness, rush to Udaipur. It has a lot in store to leave you broadened eyes with the sheer amusement and one of the famous places in India that you don’t want to miss. Enlaced in royal opulence, natural splendor, and architectural marvel, Udaipur is unarguably the most popular honeymoon destination in India. 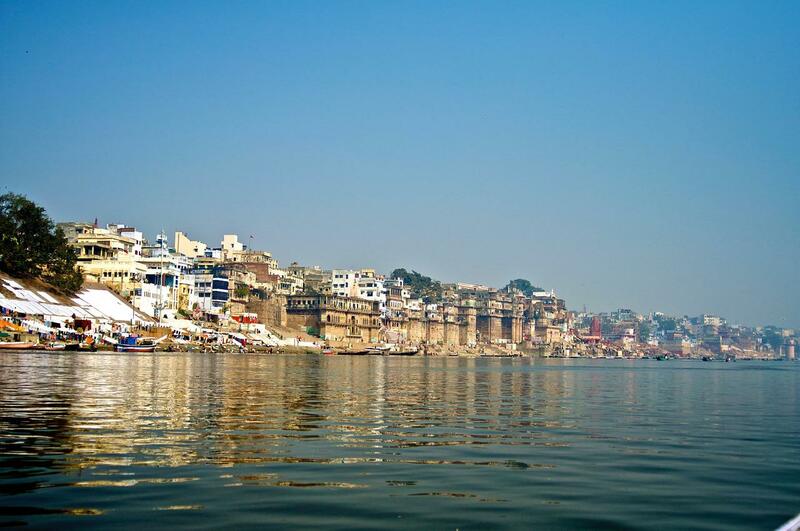 Udaipur is a city, where high-end luxuriousness, deep cultural heritage, and modern-age vibrancy coexist gorgeously. Given the fact, it is also a much-loved wedding destination in India. Its majestic palaces, skyscraping castles, and soothing lakes entice the worldwide tourists. Amid the lavishness of Udaipur, it’s hard to resist your temptation for its vivid markets. So, don’t hold back yourself here. Go out and get drenched in the pool of vividness. Do you ever fancy to camp in a boundless desert? Yes? Then, Jaisalmer is keen to embrace you in its far-spreading Sam sand dunes. Here, spend a calm evening far away from the hustle and bustle of a city and admire the calmness of nature. Mind-blowing art performances and delicious local cuisines will further intensify the amusement of your camping excursion. 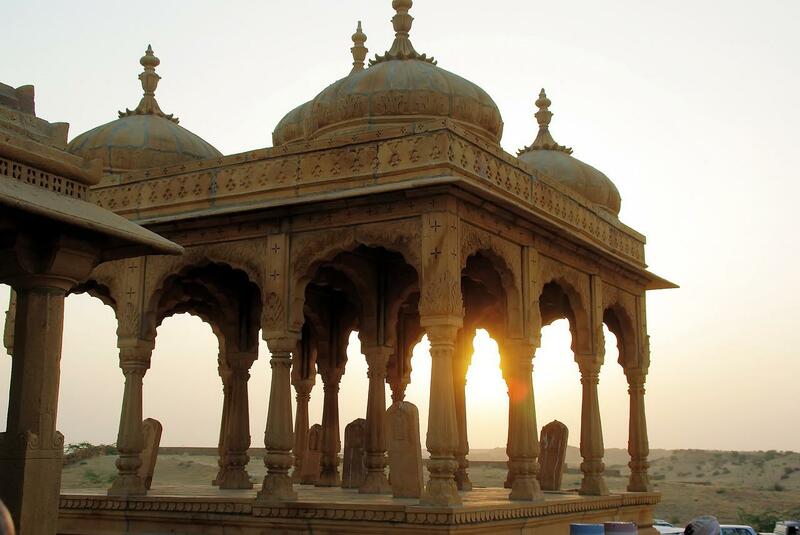 When Sam sand dunes release you from their warm clasp, explore the royal facet of Jaisalmer. Like other parts of Rajasthan, Jaisalmer is dotted with unnumbered of royal fortress and residences too. 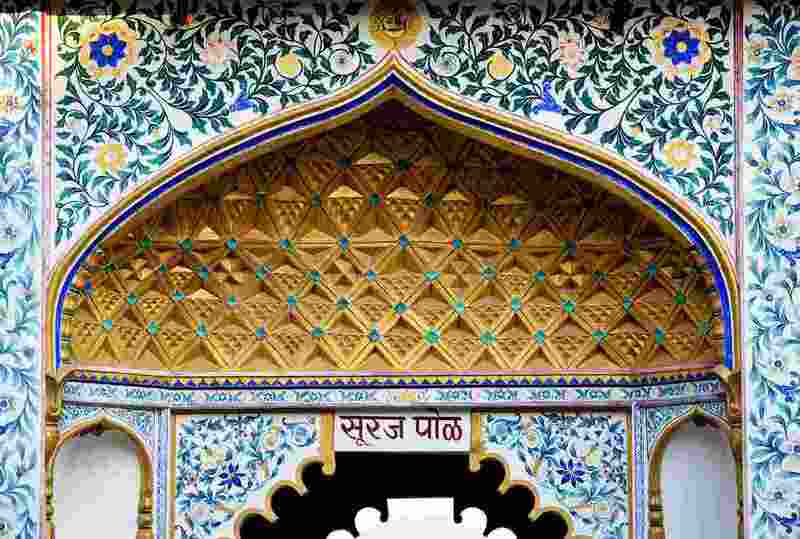 The glorious history of Rajput rulers is resonant even today within the sweeping ramparts of these palaces. There are numerous other places to visit in Jaisalmer, things to do activities which makes it must visit tourist destinations in India. Glorified by the vibrant shades of history and rich tinges of heritage, Jaisalmer also shares Indo-Pak border. No matter what type of tourism you’re looking for, Munnar has to be on your list of best holiday destinations in India. It is the place, where the sun kisses the mountains, nature dances with sprawling tea plantations, and rivers romance with the greenery. So, visit Munnar and engross your soul in this romantic aura. If you’re planning your honeymoon, Munnar will definitely render you memories to treasure forever. The magnetism of Munnar not only makes it the best destination for honeymoon in India but for everyone. The skyscraping mountains, interspersed breathtakingly with the verdant tea plantations, are truly a delight for your eyes. As if this was not enough, the soothing lakes, awe-inspiring dams and swaying thick forests further deepen the unfathomable charm of Munnar. Munnar must be in your tourist spots in India bucket list, as because of beautiful places to visit in Munnar long list. Rested on the triangle of River Mattupetti, Periavaru, and Nallathanni, this alluring hill station is undoubtedly the most fascinating canvas of nature by all accounts. So, can you complete your list of top tourist places to visit in South India without a mention of Munnar? We guess, never! If you expect us to do the justice with the fascinating splendor of Manali, we’re sorry. You yourself have to behold it because it is impossible to capture it in words. The snow-capped hillocks, majestic mountain ranges, luxuriant lands draped with flowers, alluring valleys, misty clouds, and babbling streams make Manali one-of-a-kind top tourist places in India. Rested majestically atop Pir Panjal and Dhauladhar ranges, Manali scents entire Himachal Pradesh with its redolence splendor. 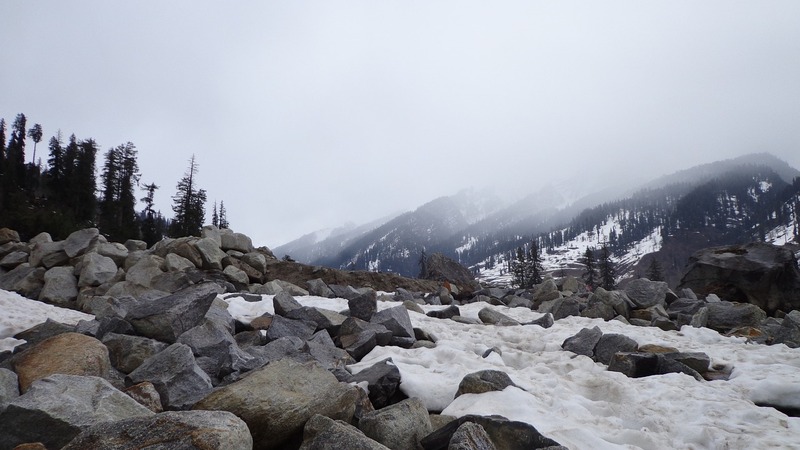 The gurgling water of Kullu River and the absorbing beauty of Rohtang Pass further accentuate it. 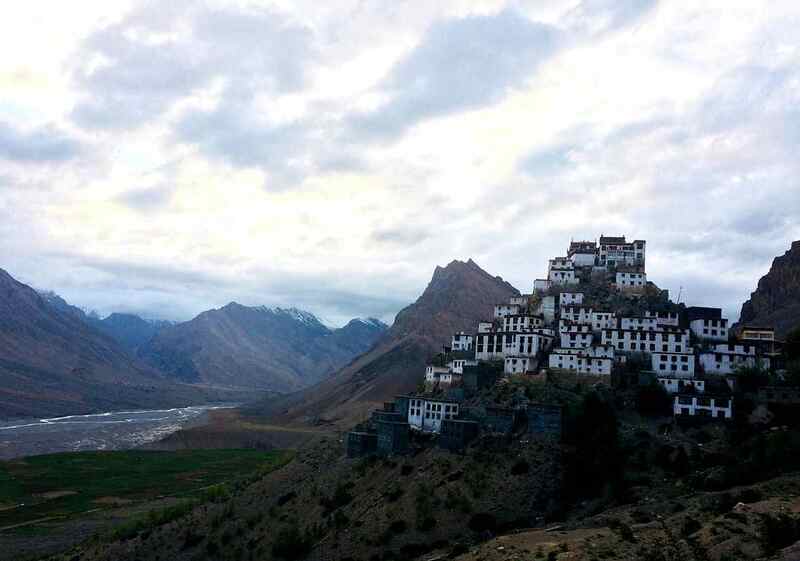 Since it is a gateway to Ladakh and Spiti Valley, it receives the influx of visitors all year round. Believe us, the hilly roads of Manali not only give your camera a sheer delight but also give you a chance to let your adventurous spirit come out. Need another reason to evoke your adventurous verve? Well, Manali is one of the most popular hill stations in India. Also, the highest motorable road starts from here. Now, don’t tell us you need any more reasons. If you want to explore the coolest & must visit places in India this year, Darjeeling is the first place to be. 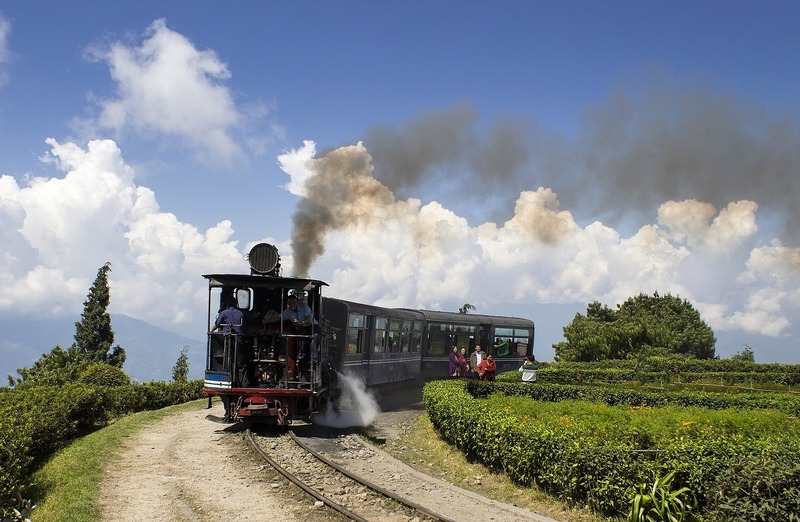 The beauty of Darjeeling is that it greets every visitor affably offering the fancied pleasure what one is looking for. No matter what kind of vacations you’re yearning for, Darjeeling makes sure to give you beyond you can even think of. On the one hand, it is a cozy escape for the honeymooners. 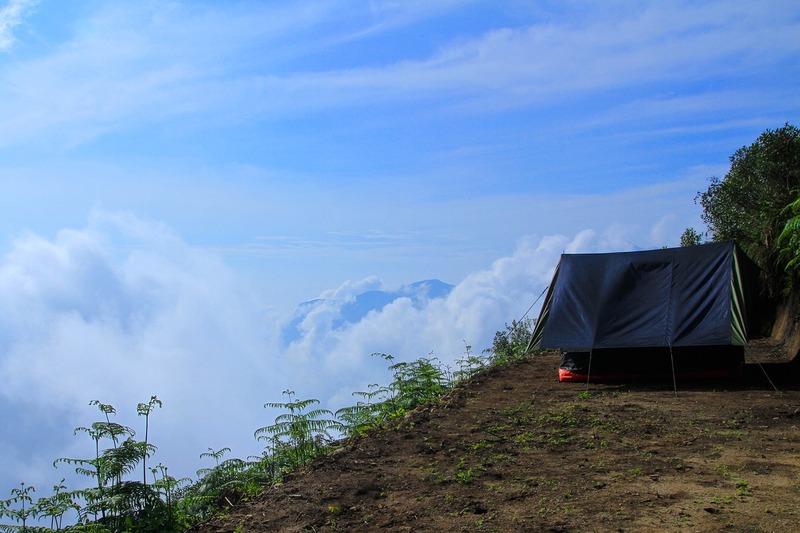 It makes the backpackers meet their soul amid the silent valleys, on the other hand, which makes it one of the places to visit in India before you die. When in Darjeeling, don’t miss a chance to capture the ethereal view of the sunset while sitting atop Tiger Hill. Once you have satiated yourself thoroughly with serenity, it’s time to measure the unfathomable ocean of thrill. Go for water rafting in the majestic and adamant waves of Rangeet River. If you want to witness the finest fusion of history and modernity, set your feet in Hyderabad. From being the ruling capital of Qutub Shahi rulers to becoming the IT hub of India, Hyderabad is transformed drastically. However, it holds its history gloriously even today and demonstrates it in the forms of stellar forts, palaces, mosques, and tombs. The fascinating thing about Hyderabad is that its commercialization is growing in its deep-seated premises of culture and history. Starting with Char Minar, Hyderabad has many wonders to throw your way. Food lovers, Hyderabad has a special corner for you. When you’re here, try Hyderabadi Biryani. It is literally the signature sign of Hyderabad. Before you say bye to Hyderabad, make sure to visit Ramoji film city. It is said to be the largest film studio complex in the world and one of the few famous tourist places in Hyderabad that you must visit during your India tour. We tagged Daman & Diu as ‘mini Goa’. Know why? Well, they both are more or less similar. Be it their history or tourism, they both will greet you with the same splendor. The reason being, they were under Portuguese occupation for quite a long years. However, what makes Daman & Diu inimitable in its own way is its stimulating blend of culture, history, and peerless topography. 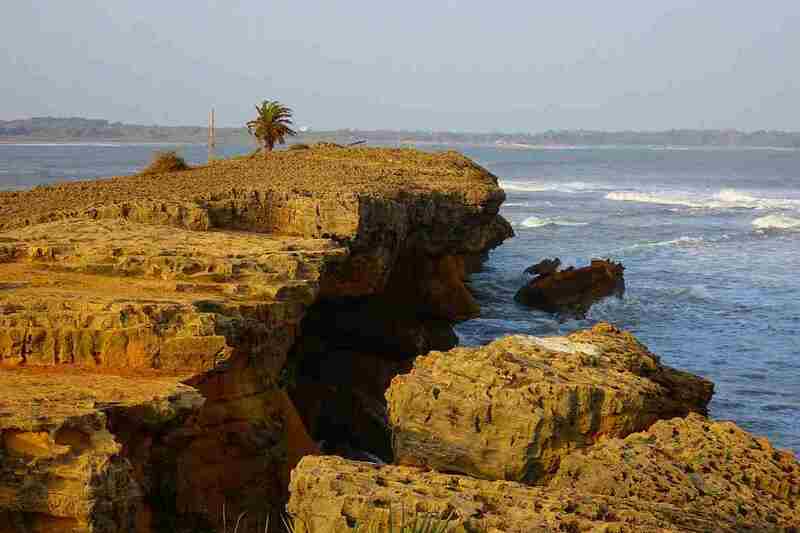 Owing to its great influence of Portuguese, you’ll see a distinct architecture in Daman & Diu. Daman and Diu are actually two geographical bodies immersed in one soul inextricably. Rested majestically in the coastal lap of Gujarat, this union territory is a perfect weekend India holiday destinations. From unnumbered of soul-stirring beaches to some spectacular palaces, Daman & Diu has all the ingredients that make it one of the top destinations to visit in India. Do you know why Madurai is called ‘lotus city’? No? Well, then you have to go back to the times of Pandya Empire. Though it is one of the oldest cities in India and served many dynasties, it actually came in prominence during Pandya rulers. They constructed it gorgeously in a lotus shape and gave us a reason to visit the city. The spiritually soaked city is predominantly famous among the tourists, who are looking for spiritual bliss as temples in Madurai are world famous. However, the city has something astonishing in its store for everyone. Here, spirituality and history coexist exquisitely in perfect harmony. 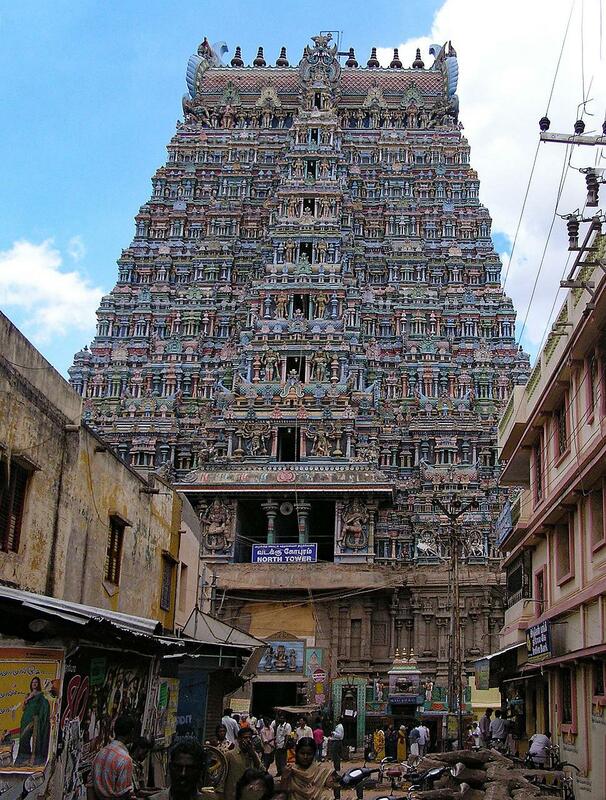 Steeped deep in heritage, Madurai is called the cultural capital of Tamil Nadu. Also, it acts as a gateway to Rameswaram. The shades of its rich cultural can be even seen in its flamboyant markets. Here, you’ll get mainly antique and traditional stuff. Even if you’re not in a mood do shopping, these markets will allure you instinctively. If the sculpted temples of Madurai couldn’t slake your thirst completely, jump into the ocean of architectural masterpieces of Khajuraho. With the awe-inspiring backdrop of majestic Vindhya ranges, Khajuraho is the crowning jewel of Madhya Pradesh. History buffs, Khajuraho is a heaven for you. Here, you’ll see the finest craftsmanship of Indo-Aryan architecture coated with the antiquity of Indian heritage in Khajuraho temples. So, make sure you keep your camera all charged up because every slab of these monuments is a wonderful delight for your digital lens. With its meticulous carvings and intricate sculptures, the architecture of Khajuraho manifests its rich legacy explicitly. Being a UNESCO World Heritage site, it grabs the eyeballs of worldwide tourists. 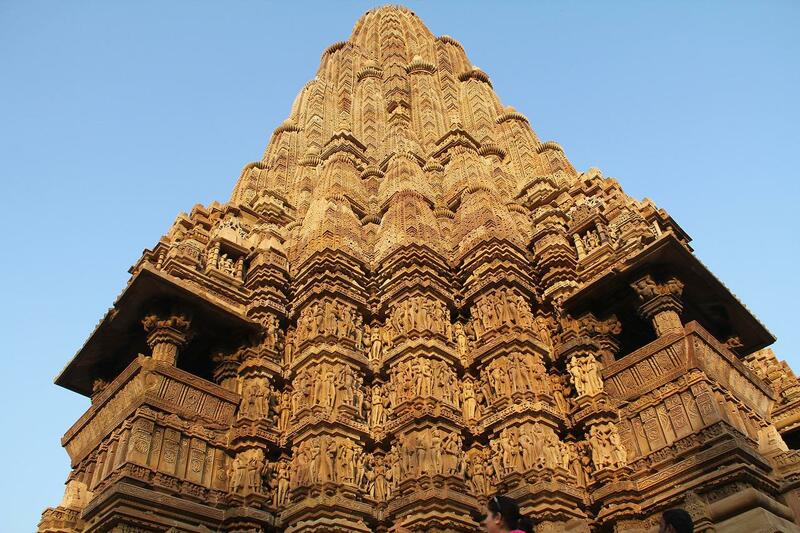 Though Khajuraho is a small town, it is a much-loved travel destination in India. There is no chaotic lifestyle and, of course, no hubbub of cities. When you’re in the town of architectural wonder, make sure to capture its rustic charm too. Yes, we’re talking about Panna national park, located just a few km from Khajuraho. Next, land in the city of joy and infuse yourself with every bit of it. Unlike other Indian tourist destinations, Kolkata is plated with all ingredients to offer you a perfect holiday. From a rich history to the deep heritage, ‘the city of joy’ is thoroughly entwined with luxuriousness and amusement. Nevertheless, it’s the mind-boggling art & culture of Kolkata that makes the city sparkle in the tints of joy all the time. 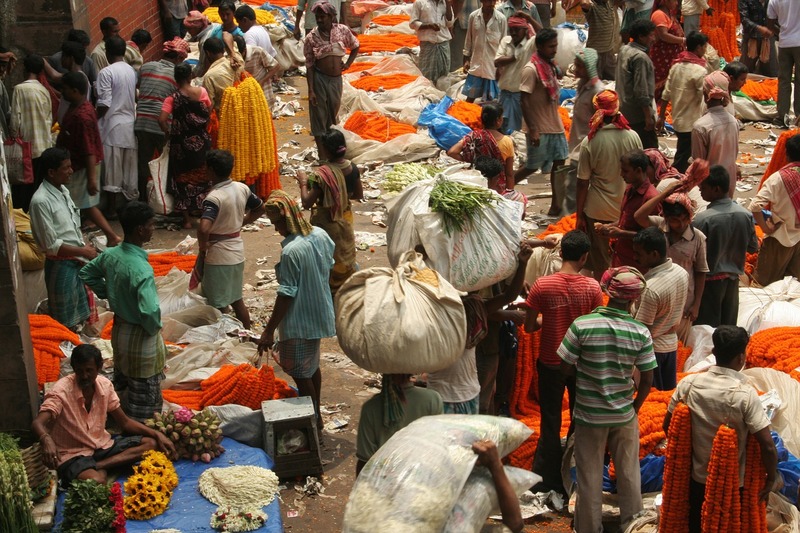 If you want to suffuse yourself with a deep Indian culture, get your feet in the narrow streets of Kolkata. Here, a lively art is scattered all around. In every step, it will exude a sense of wonder, which you can feel anywhere else in the county. On the other hand, the grand palaces of Kolkata act as the salient remainders of British Era. If history is not your thing, move ahead and capture the other facet of Kolkata, where people are jostling in front of eateries. Yes, Kolkata is a heaven for foodies. You too don’t forget to gorge on the delectable Bengali dishes, especially Ras Malai. And the tourist places in Kolkata and attractions in the city list goes long but we have listed some of the prime things that you don’t want to miss. Located on the foothill majestic Himalayan and girdled by Shivalik Hills on three sides, Rishikesh is one of the holiest places in India. However, today, it is not restricted only to religious tourism. 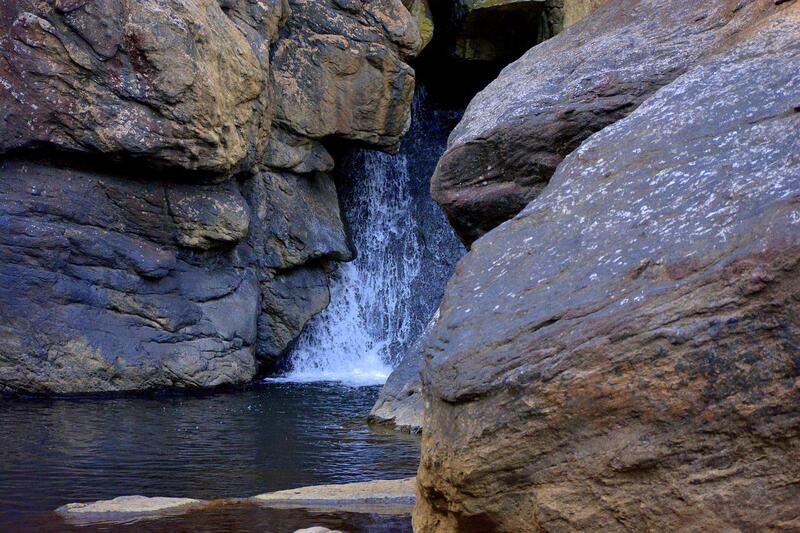 Instead, it has grown up to be a much-loved adventurous destination in the county. Considering its moderate temperature in summers, Rishikesh is the best resort for the summer holiday in India. Here, the mighty waves of rivers, sweeping premises of hills, and skyscraping heights of mountains allow the tourists to taste their adventures spirit. Where on the one hand it tickles the soul with thrilling activities, it soothes the mind with its spirituality and Ayurveda retreat on the other hand. Can you find this exceptional fusion of tourism anywhere else in the world? Of course not! Owing to its Ayurveda and meditation significance, Rishikesh is often tagged as the Yoga capital of the world. Can you paint a picture of heaven? If you dare to, the strokes your brushes can probably draw a better canvas of Ladakh rather than our words. Know why? Well, because the glory of Ladakh is hard to capture, impossible to depict, and difficult to explore. To sum up it in a sentence, Ladakh is simply absolute magic. Tour to Ladakh will do true justice with the words. The fascinated land of India is hemmed in by the majestic Himalayan and Karakoram ranges. However, its lure is boundless and entices the visitors from all over the world. Though it is known for its sloppy terrains, wildered landscapes, and breathtaking snowfall, it has many other wonders too to steal your heart. Ladakh also boasts the honor of being home to the largest motorable road in the world called ‘Khardung La’. The motorable pass is also a gateway to Shyok and Nubra valleys. Ladakh is also nominated as one of the best road trips spot in India. If you covet to explore Siachen Glacier, head to Nubra valley. 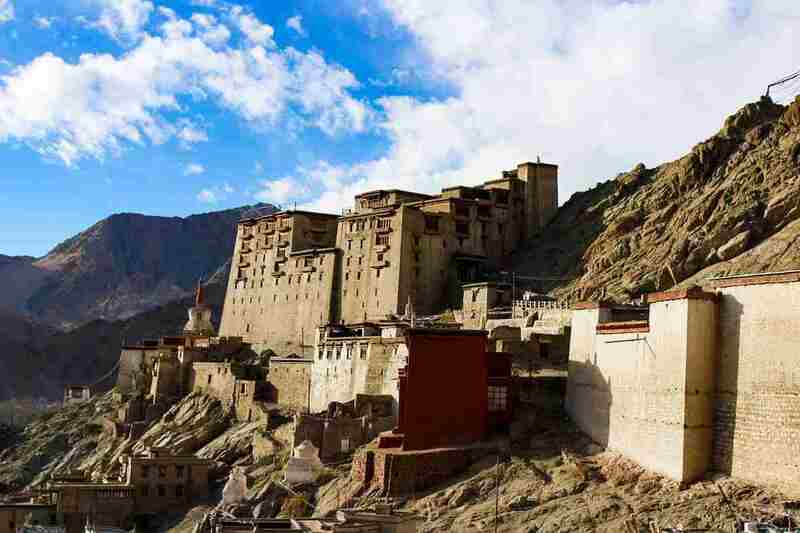 Needless to mention, Ladakh is one of the best summer holiday destinations in India. When you think of Karnataka, what does hit your mind first? Maybe, a fast-paced life? Well, there is something else too that enthralls the people with its laid-back milieu in contrast to the nimble-footed lifestyle of the state. And, that is Coorg, the Scotland of India. If you want to uncover the unexplored places in South India, start your tour with Coorg. Rested majestically in the lap of imposing mountains, Coorg is a much-loved hill station in Karnataka. Being the hotbed of nature, it is replete with abundant greenery, verdant coffee plantations, gurgling waterfalls, and spectacular hillocks. The lingering mist and soothing air add further glory to the indescribable charm of Coorg. Here, just sit in a corner and rejuvenate your senses amid this exceedingly calm ambiance. The list of places to visit in Coorg & things to do near gives you a perfect reason to plan your India holiday today. Other than its exotic scenery, Coorg has its fair share of history too. The glorious history of Coorg is written all over its splendid forts and old-age cottages. If there is any place in India, where a surreal beauty romances with an ethereal charm, it is Spiti Valley. Bordered by Ladakh on one side and by Tibet on the other side, Spiti Valley is truly a land of mysterious charm still unspoiled by the humans. Owing to its deep roots of Tibetan culture, it is also called mini Tibet, sometimes. The snow-capped mountains, barren landscapes, spiraling roads, abundant greenery, awe-inspiring hamlets, fascinating glaciers, alluring lakes, majestic monasteries, and plush forests sprinkle different tints into one vibrant canvas of Spiti. Once you have enough snaps of this vibrant canvas, tie up your shoes and get your feet in the real charm of Spiti. Yes, trekking! Believe us, Spiti will blow you away with its thrilling treks. So here, pump up your adrenaline and let your adventurous beast come out. Given its plethora of adventurous activities, it is certainly one of the most loved places to visit in India with friends. Have you heard a city famous for the ruins? No? 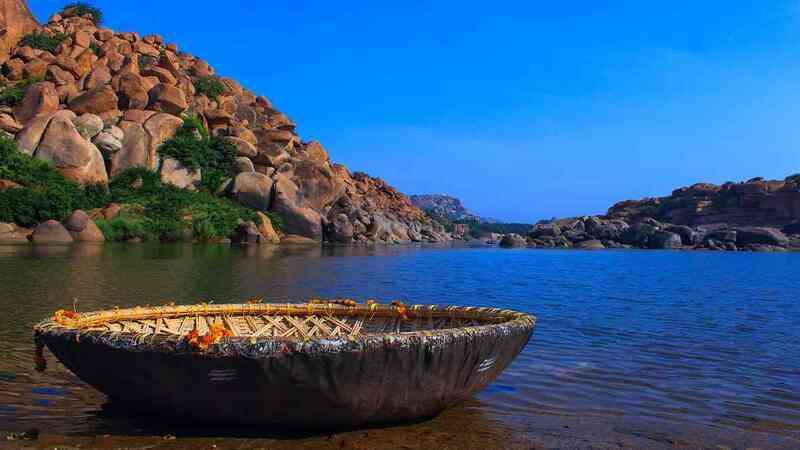 Then, turn to Hampi tourism and behold it in front of your eyes. Though today it in ruins, it depicts the heyday glory of Vijaynagar Empire perfectly. Not only the history, but it also reflects an exquisite balance of culture and nature. A UNESCO World Heritage Site, Hampi, is surely worth visiting even more than once. It is its distinctive old-world charm that makes it a loved tourist destination in India. 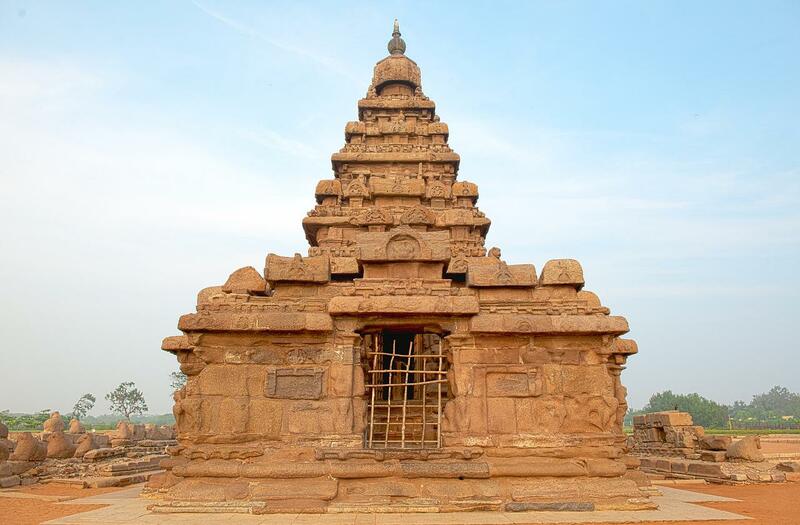 Located on the foothills of majestic valleys of Karnataka, Hampi is flecked with unnumbered of forts and temples. An otherwise laid-back town, Hampi, will keep you on your toes with its unique topography and boulder landscapes. Additionally, the rustic wilderness of Daroji Bear sanctuary will intensify your senses with the amusement. When it comes to top tourist places in India, Chennai marks its presence with completely different tourism. With a right mix of history, culture, spirituality, and modernity, Chennai has a galore of tourist attractions to cater its visitors. Though the metropolis city is not known for a specific kind of tourism, it has something special for everyone. Aptly tagged as the ‘gateway to South’, Chennai is indeed the crowd puller of the state. Whether you’re a history buff or wildlife enthusiast and whether you’re a beach bum, or peace seeker or just a shopaholic, Chennai has a lot in its store to satisfy your tastes. Believe us, you can’t find such an amazing diversity of tourism anywhere else in the county. When you’re planning your trip to this incredible city, make sure it’s at least a week’s long tour. So, you can explore every bit of it. If possible, plan your trip in January. Its mild weather during winters makes it one of the most loved places to visit in January in South India. Do you want to behold heaven on the earth? Well, head to Pondicherry, where this heaven is all draped with a mystic lure. 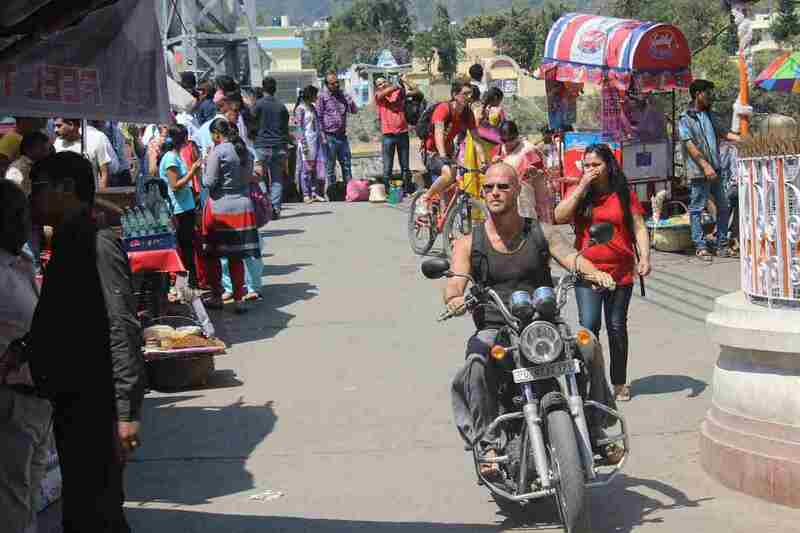 The erstwhile French colony is today one of the Indian Tourist places you must go during your tour to India. Enfolded its antiquated French charm, this little town glorifies the southeast coastline of India. Actually, Pondicherry is a fine blend of French history and Indian topography. From fascinating French architecture to intriguing Indian culture and from sultry beaches to serene temples, Pondicherry has superbly brought off different elements of tourism in one single plate. Being home to Aurobindo Ashram, Pondicherry is also sparkled with the spiritual glory. The gray-colored painted houses and grand colonial buildings are the catchments of eyes in Pondicherry. Another defining charm of Pondicherry tourism is its colorful markets, which are also hued in the colors of French history. 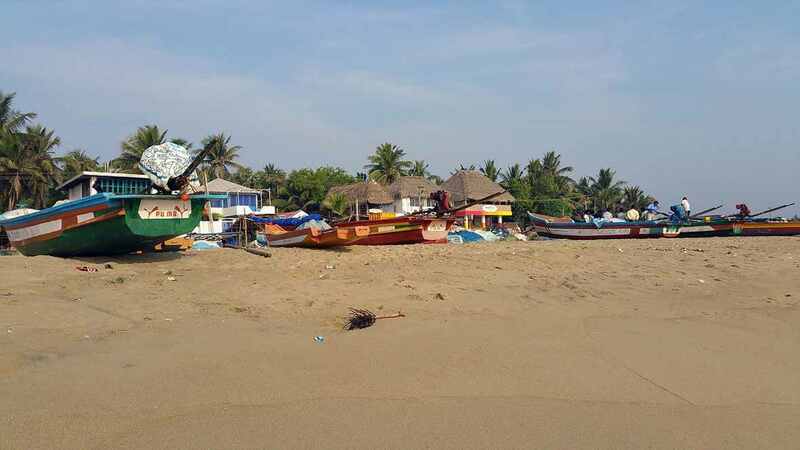 In short, Pondicherry is one of the best tourist spots in South India. Want to explore India? You´re at the right place. Our mission is complete customer satisfaction whilst providing a service that’s second to none!